I am looking forward to the Joe Golem book and its followup. 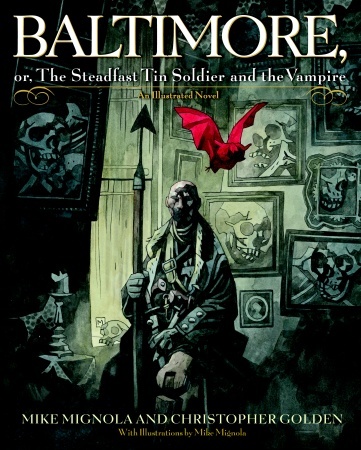 Christopher Golden and Mike Mignola, each of whom create fantastic fantasy worlds, make a wonderful team, as shown with Baltimore. I can't wait to see what they have planned for their steampunk endeavor! That's great news! And by the way, you've got Mignola's B.P.R.D. listed dyslexically, should read B.P.R.D. not B.R.P.D.. Thx!